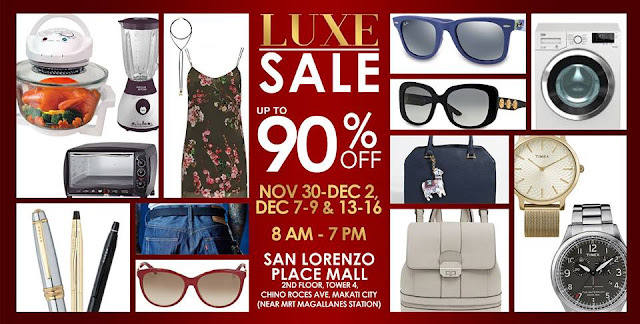 The much-awaited LUXE Warehouse SALE is here, and starts on November 30, 2017. Get up to 90% OFF on designer eyewear, watches, apparels, appliances, cosmetics audio/video & more...with International brands like Timex, RayBan, Levis, Gucci, Guess, Bulgari & many more! 0% interest on 3-month installment available for a minimum of P3,000 purchase with your BDO Credit Cards.